Can a nuclear bomb be repackaged and sold as anything other than a weapon of mass destruction? Countries that have the bomb, like the United States, claim they can be used as weapons of peace. Peace via the threat of destroying the world hanging over the head of anyone who dares to cross the boss. Derivatives were at the core of the financial collapse of the global economy in 2008. Warren Buffet; America’s greatest living investor, has publicly stated he stays far away from them. With those two unremovable stains, it is no wonder why JP Morgan and Goldman Sachs are trying to rebrand derivatives. Derivatives are the tool or instrument most used by big banks and hedge funds that turns Wall Street and the finance sector of the American economy into a casino on steroids. Until derivatives are regulated (they are completely unregulated presently) then Wall Street will, like a degenerate gambler, continue rolling the dice as often as possible, at the highest stakes possible. Using money to make money has been described as The American Way by many CEO’s who have taken their respective companies public. If that is an acceptable definition of The American Way, then there is nothing more patriotic than using derivatives to make money. One of the many problems with derivatives is that it uses nothing real, tangible that can be held and felt in the real world. The only thing a derivative is used for, is to make money in the finance sector. The finance sector of any economy is meant to help build wealth for the masses. 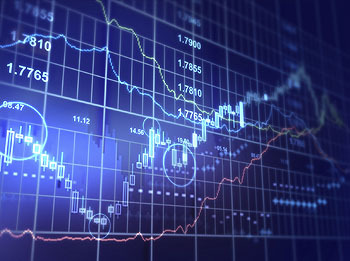 Derivatives are a tool used by finance sector insiders, for finance sector insiders. Derivatives are purposefully complex and confusing, in many cases beyond any verbal explanation. Attempting to rebrand derivatives under the umbrella of Alternative Mutual Funds, shows exactly why the finance sector of America’s economy needs to be strictly and tightly regulated this side of the 2008 collapse. They know how dangerous and damaging derivatives have been in the past, and rather than allow transparency and regulation, Wall Street is trying to sweep them under a rug, and try to tell people that the rug is a self-sustaining money tree.